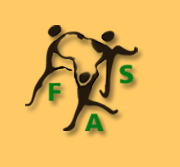 FAS's Regional Office in Dakar, Senegal, was established in May 2003 and was operational by March 2005. Following the signing of an agreement with the Government of Senegal which provided FAS with its premises, the Dakar Office has been able to take over many of the operational activities which were previously the responsibility of the Secretariat. The Office has successfully organized the four meetings of the Coordinating Committee and the inaugural African Gender Award and Forum events. In addition, the Dakar team established and launched the PanAfrican Centre for Gender, Peace and Development. The Regional Office consists of a Programme Officer, an Information and Communication Officer, an Administration and Finance Officer, a Coordination Officer, a Coordinator for the PanAfrican Centre, an Administrative Support Officer and other support staff and interns.